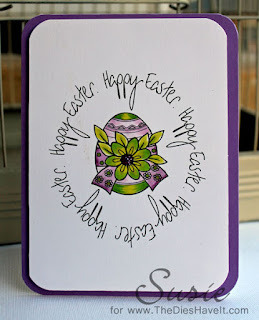 Created 4 Creativity : Happy Easter! 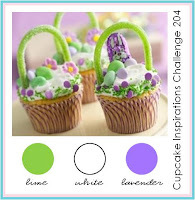 It's time for this week's Cupcake Inspirations Challenge and of course I wanted to tell you Happy Easter. I hope your day is perfect in every way. This week we are sponsored by Robyn's Fetish. Her designs are just so inspiring. I think you will enjoy looking at her lovely artwork. I printed my image and sentiment onto a white panel and then used Copic markers to color my image. 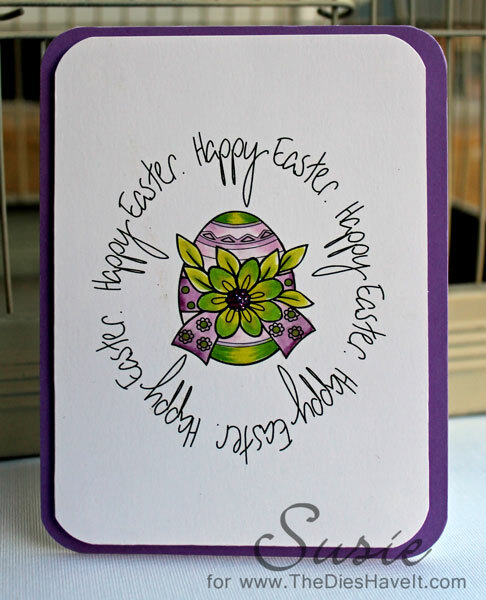 I used dimensional tape to lift the panel off the card background. and added just a bit of purple sparkle to the center of the flower. I hope you will play along with us this week, just click right here for the link.